Have you met with these troubles? when connecting a couple of sensor modules to MEGA 2560 control board, sometimes power output interfaces are not enough, so need to use the breadboard and the wiring is rather troublesome. Now don’t worry about that. 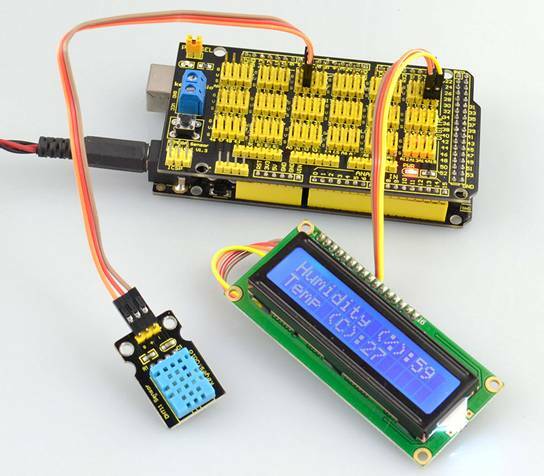 You can use this keyestudio MEGA sensor shield. 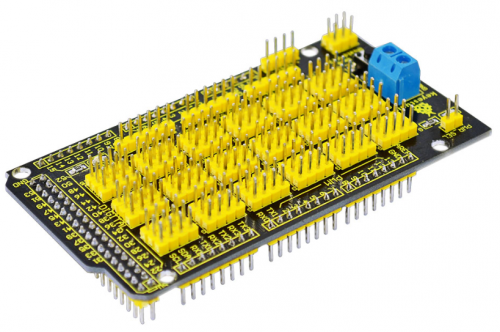 It is fully compatible with MEGA 2560 control board, so that you can easily stack the MEGA sensor shield onto the MEGA 2560 control board. 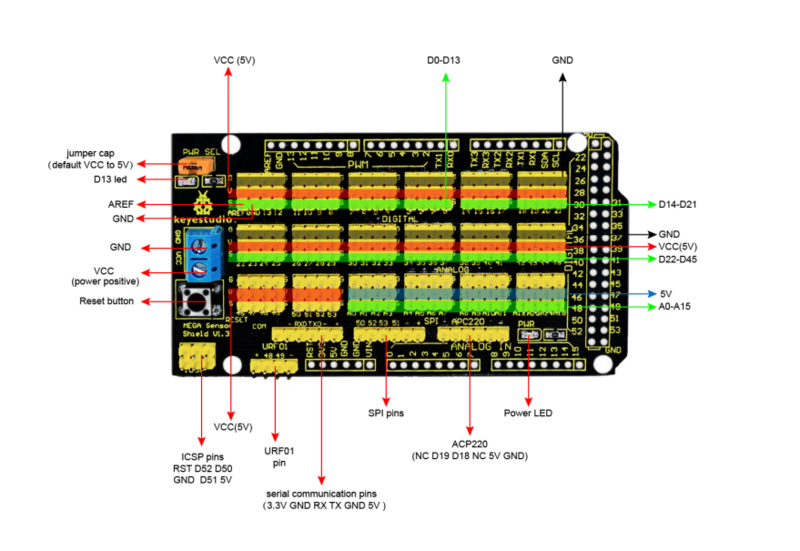 The shield comes with digital and analog interfaces in 3PIN (G V S), easy to connect the 3PIN sensor modules. 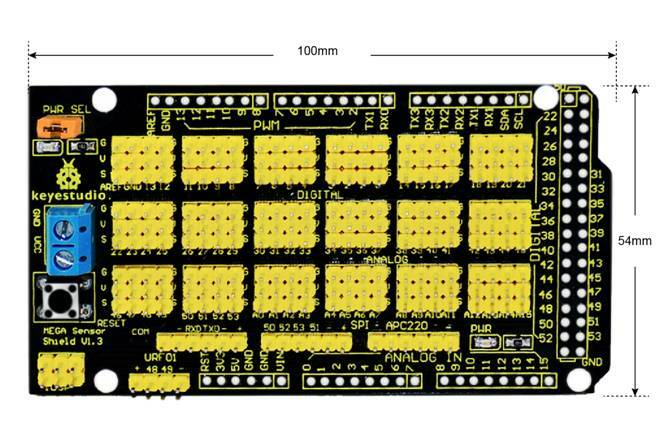 Besides, it comes with communication pins of 2.54mm pin pitch, such as serial and SPI communication. It comes with a reset button and 2 signal indicators as well. Note: for the 3PIN interface, the voltage of Analog pins (labeled V) is 5V; while the voltage of Digital pins (labeled V) is VCC, that is, the voltage input via a blue terminal block, default by jumper connected, connecting the voltage to 5V on the shield. You can stack the MEGA sensor shield onto MEGA 2560 control board. Use the LCD, sensor module and jumper wires to build the circuit experiment. Like below.